I've been thinking about this idea as I have been studying Moses in BSF. I am always amazed as I read Exodus 3-6. Moses has a lot of questions. Some of them seem rather ridiculous. Personally, I'd categorize a whole lot of them as stupid questions. God patiently answered Moses's questions. Because all Moses did was verbalize what was on his heart. The majority of the questions reveal a lack of wisdom, not a lack of faith. God already knows our questions. He already know our hearts. He knows the things that we aren't even willing to acknowledge to ourselves. God knows everything about everything. Everything. So, when we pour out our hearts to God we are being vulnerable. We are being honest-with ourselves. We are making a conscious choice to depend on God and not ourselves. Interestingly enough, God answers question after question, challenge after challenge, from Moses in chapters 3-4, until the very last one. Which was basically a plea. Just send someone else. Please. This was the tipping point. This is where God got angry. Why? It wasn't because there were too many questions and God was tired of answering them. Moses's questions had become a stall tactic. He moved from the perspective of faith, obedience and needed wisdom to stalling in unwillingness to obey and in lack of faith. Stall tactics are not cool. I think of Meres. She is put into bed every night. She has had a drink, went potty, brushed her teeth, had a story, been prayed over, and is all tucked in. But, she doesn't want to sleep. She doesn't want to be obedient. So, she stalls. She needs a drink. She has to go potty. She wants a book. Then she needs re-tucked in. God welcomes all of our questions and ugliness that comes out of a desire to obey. God doesn't appreciate our stall tactics. A prime Biblical example of this idea is found in Luke 1. Mary and Zacharias. They both are visited by an angel. They both ask very similar questions...How shall I know this? I'm old. and How will this be since I am a virgin? They are both viable challenges. They are both legitimate questions. God knows what is really behind our questions. So, ask your questions. God knows them anyway. But, as you are asking, let God work in your heart. Allow Him to weed out and expose any unbelief. 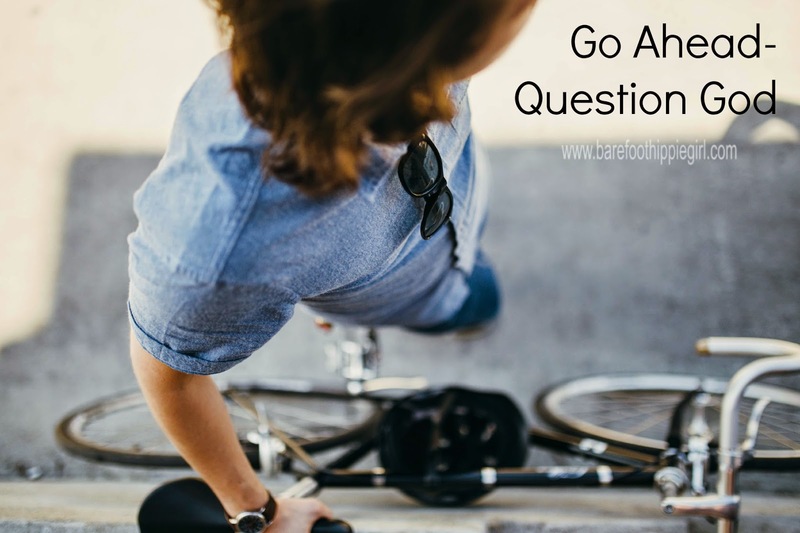 Ask your questions from a position of faith and obedience.